e-Col is Content Collaboration Platform. It does so by enabling file sharing, file syncing and collaboratively and simultaneously editing common office documents such as Word*, Excel* and Powerpoint* files. e-Col instances run on separate servers, usually outside of the client's own IT environment. Clients have complete control over users and their access rights. The IT environment is GDPR compliant. Users of e-Col may share all kinds of documents (not restricted in file types). Online-editing, however, is limited to Word, Excel, PowerPoint, OpenOffice, and regular Text files (txt, html, etc). e-Col has been developed to enable online editing of these documents simultaneously with other users of e-Col, or even with guests. 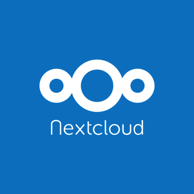 e-Col uses NextCloud and OnlyOffice in an integrated work space. * These are registered trademarks of Microsoft Inc.
e-Col is entirely server based. Installation of a software at the user computer is not required. e-Col is completely browser-operated and is therefore available and functional on all systems (incl. mobile devices) using standard browsers. The system is available is many languages (e.g. German, English, French, Spanish, Greek and others). e-Col features include daily backups enabling the restoration of different file versions for several months. Backups are stored on separate servers. The highest level of security can be realised by restricting access via an IP filter. Insert objects, move, resize, align them, change wrapping styles, fill with colour or pattern, etc.